In 2016, many Indian-origin scientists made it big and got international acclaim for their work. From genetics to nanoelectronics, these scientists have kept the spirit of discovery alive. 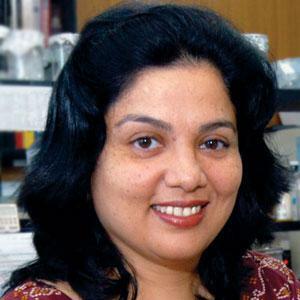 Shubha Tole is part of the Asian Scientist 100 list for 2016. This list is compiled by combing through scientific awards and breakthroughs across the region. Her lab is interested in the genetic mechanisms that control the formation of perception, language, learning and memory. Her current research focuses on genetic ‘knockout’ mice, RNAi, embryonic stem cells, tissue culture, and molecular biology approaches to address questions of the development and evolution of the brain. In her work on mammalian nervous system, Tole discovered a master regulator gene that controls how the brain’s cortex hippocampus and amygdala develop. Her work throws light on what exactly happens when things go wrong during the intricate process of building the brain. These disturbances can cause neuropsychiatric disorders such as autism and epilepsy. At present, she teaches at the Tata Institute of Fundamental Research, Mumbai. Tole is committed to education, public outreach and mentorship and wishes to groom young scientists. A doctorate from the University of Calicut, Pradeep Chaluvally-Raghavan was given the 2016 Liz Tilberis Early Career Award for his commitment to ovarian cancer research. He teaches at the Medical College of Wisconsin, Milwaukee. Chaluvally-Raghavan’s current research focus is on the role of non-coding genetic aberrations in ovarian cancer. “Since the cancer cells grow faster than the body’s own healthy cells, it is important to understand the precise mechanism that tumour cells employ to proliferate and metastasise to distant sites. My research will help develop agents that would target the tumour cells without affecting the normal cells in the body,” he told Down To Earth. We hope our studies will help improve the quality of life of patients suffering from breast, ovarian and other gynaecological malignancies, he adds. He was awarded The World Academy of Sciences Prize 2016 for his contribution to theoretical physics. Shiraz Minwalla studied at the Indian Institute of Technology, Kanpur, and got his doctorate from Princeton University, New Jersey, USA. He now teaches at the Tata Institute of Fundamental Research, Mumbai. “My research focuses on obtaining a better understanding of the dynamics of gravity (related to black holes) and quantum field theories and their interrelation. My research pushes the boundaries of knowledge and has no immediate practical applications,” Minwalla told Down To Earth. “My goal is to obtain a complete understanding of the physical laws that underlie the universe, which are probably unattainable in entirety,” he adds. Anil Seth’s research brings together neuroscience, mathematics, computer science, psychology, philosophy and psychiatry with the aim to understand biological basis of consciousness. In other words, he aims to understand the complex networks involved in the consciousness to develop new clinical approaches to psychiatric and neurological disorders. He focuses on integrating theoretical and experimental approaches. Seth's research interests include consciousness, theoretical neuroscience, neuroimaging, artificial life, and adaptive behavior. At present, he is a professor of cognitive and computational neuroscience at the University of Sussex. He also holds degrees in Natural Sciences, Knowledge Based Systems and Computer Science and Artificial Intelligence. Seth has been awarded the Wellcome’s Engagement Fellowship, 2016. He writes regularly for New Scientist, The Guardian and BBC. 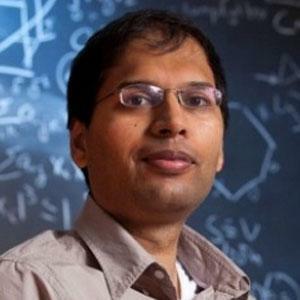 Subhash Khot is a theoretical computer scientist who works in the field of computational complexity which focuses on quick solving of computational problems. He gives insight into unresolved problems. 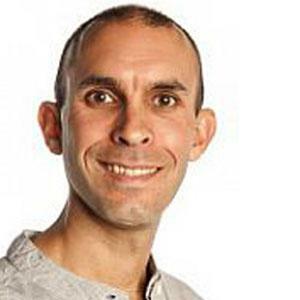 His major contribution has been developing an assumption which he named as the “Unique Games Conjuncture”. This assumption made many difficult problems simpler, those problems which scientists believe could not be solved exactly by any algorithm that runs in a reasonable amount of time. In the process of trying to prove this conjecture, mathematicians have come up with important results in Fourier analysis, geometry and even the stability of various election models. 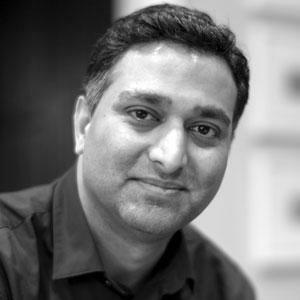 Khot grew up in Ichalkaranji, Maharasthra and is currently a professor of computer science in New York University. He has been listed as one of the 23 recipients of MacArthur Fellowship 2016. 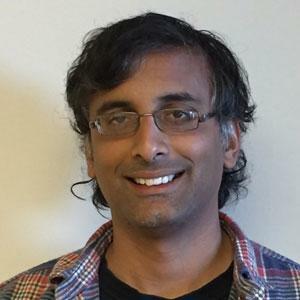 Akshay Venkatesh is the recipient of the Infosys Prize in Mathematics in 2016, which is awarded by the Infosys Science Foundation. His research involves the study of number theory and related topics like automorphic forms, topology, ergodic theory and representation theory. He uses new insights, sophisticated techniques from several different areas of mathematics and uncovers previously unsuspected structures. He enjoys problems with interaction between analysis and algebra. Born in New Delhi, but raised in Australia’s Perth, Venkatesh won both the International Physics Olympiad and the International Mathematics Olympiad before he was 12. He finished high school when he was only 13 and went to the University of Western Australia, graduating with first class honors in Mathematics in 1997—the youngest student ever to do so. At 20 years, he had a doctorate under his belt. He is currently a mathematics professor at Stanford University, USA. Born in Nashik, Ramesh Raskar is an associate professor at the Massachusetts Institute of Technology and the head of MIT Media Lab. Raskar invented the EyeNetra, which allows eye testing in remote locations. EyeNetra is a small binocular device that snaps onto a mobile phone. While looking into the binocular, the user can quickly calculate a prescription for eyeglasses. This eliminates the need for expensive diagnostic tools and is already being used in the US, Brazil, and India. He has also used femto-photography to capture images around corners. Raskar has helped teams in Kumbh Mela by providing a technology that displays the heat maps of crowd movements. This can be used for crowd control. He has also developed a system to detect impending epidemic outbreaks in real time and a camera that allows users to read pages of a book without opening the cover. The future applications of his work include avoiding car collisions at blind spots, detecting survivors in fire and rescue situations, and performing endoscopy and medical imaging to eliminate the need for an X-ray. Raskar was awarded the 2016 Lemelson-MIT Prize, which celebrates outstanding inventors. Sumeet Walia is renowned for his work in nano-electronics. He specialises in the use of metal oxides for developing high-performance electronic devices. This year the MIT Technology Review listed him among the “10 Innovators Under 35”. Walia teaches at the Royal Melbourne Institute of Technology. Recently, he was part of a team of researchers who found that the performance of mobile phone cameras and solar cells could be boosted by the use of sound waves to controllably change the electronic properties of materials. “My work focuses on fabricating ultra-thin layers (thousands of times thinner than a human hair) of metal oxide materials and tailoring them for a range of functionalities in three key areas—to develop wearable sensors for healthcare monitoring and harmful gas detection; an electronic chip to store and recall events from the past, mimicking the functionality of the human brain; and, high speed nanoscale transistors that can operate at speeds faster than the current silicon-based electronic technologies and result in energy efficient, ultra-fast electronic devices,” Walia told Down To Earth. 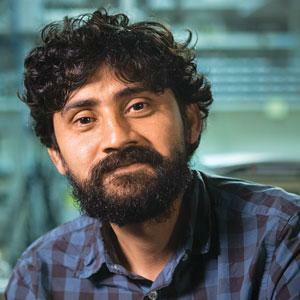 Manu Prakash invents tools to do field science that are both low cost and powerful. His Foldscope is a microscope made out of paper and a glass bead for a lens and costs less than a dollar. It has been distributed to more than 50,000 people in 135 countries. Foldscope has been used for projects to explore diseases in bees, documenting pollen grains in urban landscapes, mapping biodiversity of microscopic organisms, detecting cervical cancer and teaching hygiene and sanitation. Born in Meerut, Prakash is an associate professor of bioengineering at Stanford University. He has been listed as one of the 23 candidates for MacArthur Fellowship 2016, popularly known as “genius grant”. He has also been designing tools to track and detect mosquito species. This would enable communities to combat mosquitoes on a largescale and track the vectors for some of the most deadly diseases. Prakash has also developed a computer that works by moving water droplets. The goal is to make computers control and manipulate physical matter. The immediate application of this innovation may involve turning the computer into a chemistry and biology laboratory. Sumeet Walia is renowned for his work in nanoelectronics. He specialises in the use of metal oxides for developing high-performance electronic devices. This year (2016), MIT Technology Review listed him among the “10 Innovators Under 35”. Currently, Walia teaches at the Royal Melbourne Institute of Technology. Recently, he was a part of a team of researchers who found that the performance of mobile phone cameras and solar cells could be boosted by use of sound waves to controllably change the electronic properties of materials. Why did you embark on this research? How far have you achieved your goal? The research that I do is exciting in many ways. When you are working at scales which are one billionth of a metre, you start seeing phenomena that do not exist at macroscale. These exciting properties can be exploited to create systems and devices with remarkable functionalities that can change the paradigm of technology. As my research is based on nanotechnology, I strive to design nanoelectronic systems for the next generation of applications in fields ranging from energy and wearable electronics to healthcare monitoring. The challenges are grand and it is always an ongoing process. While there are milestones that have been achieved, I believe that the day we say that the goal has been achieved, that is the day when innovation stops. What do you hope to achieve from your current research? How will it help the poor or general population around the world? As we all know, technology has been the driver of human evolution and the next big challenge is to sustain that and make lives better. In pursuit of this goal, my work focusses on fabricating ultra-thin layers (thousands of times thinner than a human hair) of metal oxide materials and tailoring them for a range of functionalities in three key areas. Firstly, I utilise and tailor these materials for the development of wearable sensors for healthcare monitoring and harmful gas detection. This research has enabled me to create wearable sensors that are capable of alerting users to harmful levels of UV radiation as well as harmful gases generated by automobiles and industrial settings such as mining. Given the risk of melanoma due to high exposure to UV, these wearable patches have important implications in healthcare monitoring and prevention of skin cancer. Second is a step towards having an electronic chip to store and recall events from the past, mimicking the functionality of the human brain. This research is an important precursor for devices that can help understand the human brain better which will then enable researchers to come up with cures for brain-related disorders. This memory cell can be developed to create smarter computers, self-drive vehicles capable of learning from their experiences on the roads and USB sticks with 16 times the capacity of existing memory sticks while reducing their size to a pinhead. Third is the demonstration of high-speed nanoscale transistors that can operate at speeds faster than the current silicon-based electronic technologies and result in energy-efficient, ultra-fast electronic devices. 3) What sort of challenges do you and your team face? Atoms make up everything around us. If few atoms are taken out from their place within any material, its behaviour changes dramatically. The technological challenges are thus big. Then there is the challenge to keep yourself and the team motivated when most of the results are negative amidst which there is one positive result which you can call a discovery. I always believe in the fact that a negative result is also important. One, it generally helps explain a positive result better and two, it lets you appreciate and value success even more. 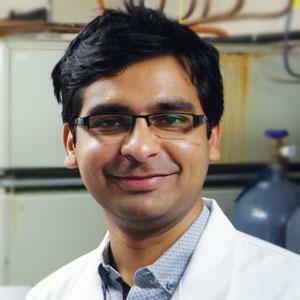 A doctorate from the University of Calicut, Pradeep Chaluvally-Raghavan received Liz Tilberis Early Career Award in 2016 for his commitment to ovarian cancer research. He is today teaching at the Medical College of Wisconsin, Milwaukee and is on his way to establish his independent research programme in ovarian cancer. Chaluvally-Raghavan’s current research focus is on the role of non-coding genetic aberrations in ovarian cancer. Successful completion of his research will add more biomarkers (a naturally occurring molecule or gene) to predict outcomes of diseases and lead to innovative treatments to ovarian cancer. Down to Earth interviewed him to know about the scope and scale of his research. What is your current research and what do you hope to achieve from this? Since the cancer cells grow faster than body’s own healthy cells, it is important to understand the precise mechanism that tumor cells employ to proliferate and metastasize to distant sites. This would help develop agents that could target the tumour cells without affecting normal cells in the body. While doing my postdoctoral research at the Weizmann Institute of Science, Israel from 2006 till 2010, I developed 3-D models system to mimic the mammary ductal cancers in our laboratory, which is physiologically relevant to the disease states in animals and human beings. This model provided the research community an important tool to test the effects and efficacy of therapeutic agents in a reliable experimental model in laboratory settings. As an instructor in the Department of Systems Biology at the MD Anderson Cancer Center, USA, I expanded my research and started working on the exploration of the roles of non-coding RNAs (Ribonucleic acid) in the breast, ovarian and other gynaecological cancers. Our studies have demonstrated that a set of miRNAs (microRNAs) are deeply involved in onset and progression of tumour and act as oncogenes by facilitating the growth and metastasis. Thus, we are expecting that our studies will identify novel biomarkers that could predict the outcome of the disease or novel therapeutic targets to treat cancer. I am currently developing a unique research programme unraveling the complexities in the genomic aberrations due to Copy Number Variations (CNVs). The long-term goal of our research is to characterise the critical factors that regulate the expression of non- coding genes, novel actions of non-coding RNAs and therapeutic targeting of oncogenes using RNA interference (RNAi). We are expecting that our studies will lead to a greater understanding of the versatile role of both coding and non-coding RNAs, their mechanism of action and novel therapeutic targets. To sum up, we are hopeful that our studies will help improve the quality of life of patients having breast, ovarian and other gynaecological malignancies. What sort of challenges do you and your team face? Many things in research will not work in a single shot, thus, we need to re-do things a few time with appropriate experimental settings. Thus, it is challenging to select the right model with correct conditions. There would be always one or more deadlines approaching either for submission of a grant application or research manuscript. Hence, it is important to manage time and resources wisely in a productive manner on three major responsibilities: research, teaching and administration without affecting work-life balance. 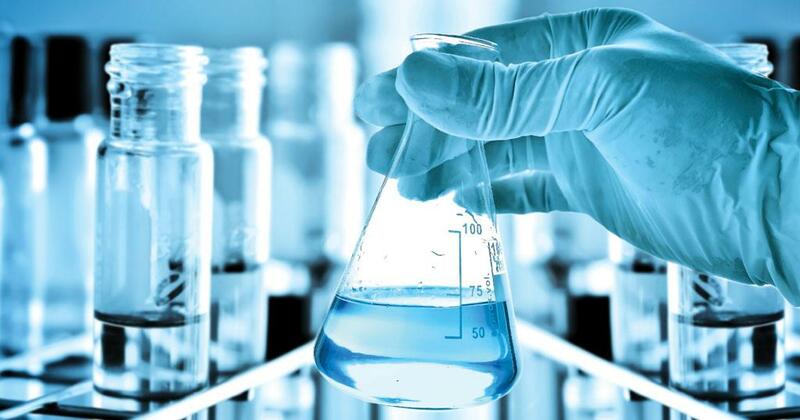 Though policies are evolving, plenty of scientists are not able to do high-quality research due to low-levels funding and grants for their research. As a junior faculty, it is challenging to do cutting-edge research without appropriate funding supports. I am also learning that building an excellent research team is not only recruiting right people, but building effective working relationships with the members inside the lab and make strong collaborations with a group of people outside my lab effectively. I truly believe adaptability is the key to succeed in research, when circumstances change like somebody publishes your research or when none of the hypothesis work as expected or a grant is denied from a funding agency. It's usually the best practice to make new research plans or substantially adapt towards new or modified plans. He was awarded the World Academy of Sciences Prize 2016 for his contribution to theoretical physics. Shiraz Minwalla teaches at the Tata Institute of Fundamental Research, Mumbai. He has also made path-breaking contributions to the study of black holes, relativistic hydrodynamics and study of string theory amongst others. He has pursued M.Sc. in Physics from the Indian Institute of Technology, Kanpur in 1995 and a Ph.D. in 2000 from Princeton University. Following are excerpts from an interview with him by Down To Earth. Why did you embark on this research? Have you achieved your goal? I decided to work on my research subject because I find it intellectually fascinating. My goals are intellectual in nature—to obtain a complete understanding of the physical laws that underlie the universe. They are probably unattainable in entirety. I have certainly not achieved my goals. What is your current research? What do you hope to achieve from this? How will it help the world in general? My current research focusses on obtaining a better understanding of the dynamics of gravity (especially as it relates to black holes) and quantum field theories and their inter-relation via the AdS/CFT correspondence of string theory. My research is undertaken purely for the sake of pushing the boundaries of knowledge and has no immediate practical applications of any sort. It is difficult to predict whether and how any of this will feed into applications over the coming years. Can we genetically alter mosquitoes to bite cattle, not humans?